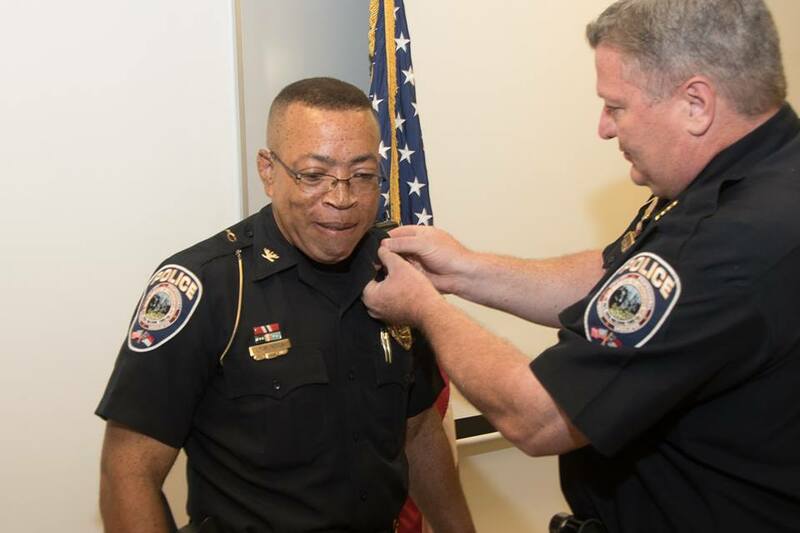 Pinehurst Police Chief Earl Phipps helps change the rank for newly installed Deputy Chief Ricky Gooch. Gooch becomes the first officer to rise through the ranks. PINEHURST — Ricky Gooch was sworn in on Monday, June 29 as the new deputy chief for the Village of Pinehurst. With his promotion, Gooch becomes the first Pinehurst officer in the history of the department to completely rise through the ranks to the position of deputy chief.